Every mom is a master at multi-tasking. I’ve been known to make lunch, check emails and help with homework all at the same time. So why should I expect my gadget accessories to do any less? I love this incredibly cool line of Brenthaven 5-in-1 iPad cases available on Café Press. If you’re like me and just discovering this mega-bastion of self-expression and custom design, you’re going to lose your mind. First, these cases will not only protect your iPad, but they can hold the tablet upright for viewing, tilt it for typing, have a gripper strap for easy reading and, this may be the best of all, can be strapped onto the back of the car headrest so your kids can enjoy your latest download on summer road trips. 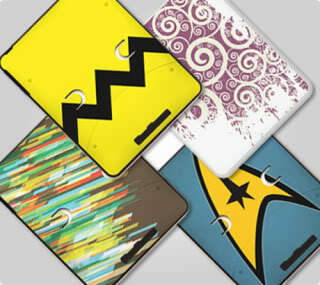 Pick out the Brenthaven 5-in-1 iPad case ($40+) that best expresses your personal style at Cafepress.com. Check out this video to see all the features.